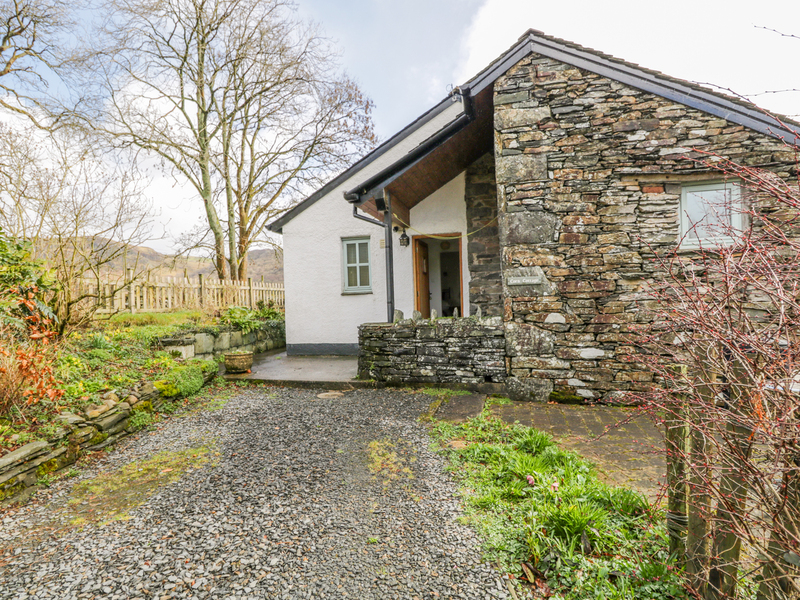 Corn Cottage is a single-storey, semi-detached cottage situated in the hamlet of Water Yeat, near Coniston Water in the Lake District National Park. This cottage sleeps two people and has a double bedroom, a bathroom, a kitchen and a sitting room with dining area and woodburning stove. Outside there's off road parking for two cars, lockable bike storage, a front patio with furniture and a small, side, south-facing garden with love seat. 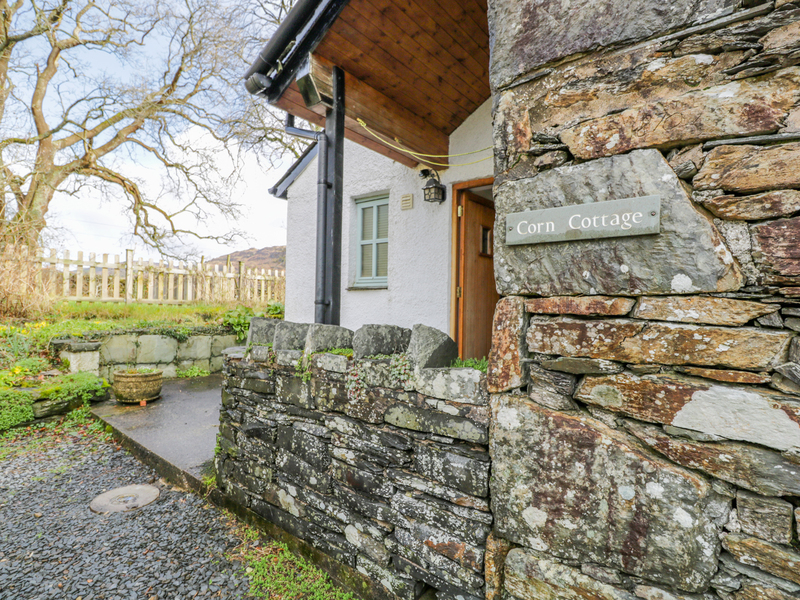 With plenty to see and do in the area, makes Corn Cottage an ideal romantic retreat. All ground floor. One double bedroom. Bathroom with bath, shower over, basin and WC. Kitchen. Sitting room with dining area and woodburning stove. Electric storage heaters with woodburning stove. Electric oven and hob, microwave, small fridge, small freezer, dishwasher, TV with FreeSat, DVD, WiFi. Fuel, power and starter pack for stove inc. in rent. Bed linen and towels inc. in rent. Off road parking for 2 cars. Lockable bike storage. Front west-facing patio with furniture. Small, side, south-facing garden with a garden bench for two. One well-behaved dog welcome. Sorry, no smoking. Shop 4.5 miles, pub 1.5 miles. Note: Although all ground floor, there's 1 step to the front door and 1 step up to the kitchen. Note: Only Vodafone and EE mobile signal available at this property. Note: Due to rural location, WiFi can be intermittent. Note: Infants only, no children over the age of 2. Note: The garden is not dog proof.